Is there a way to assign an existing message to a new subject? The answer is yes for the first message of a conversation, but not for the comments or as a reassignment of the full original conversation to another subject. 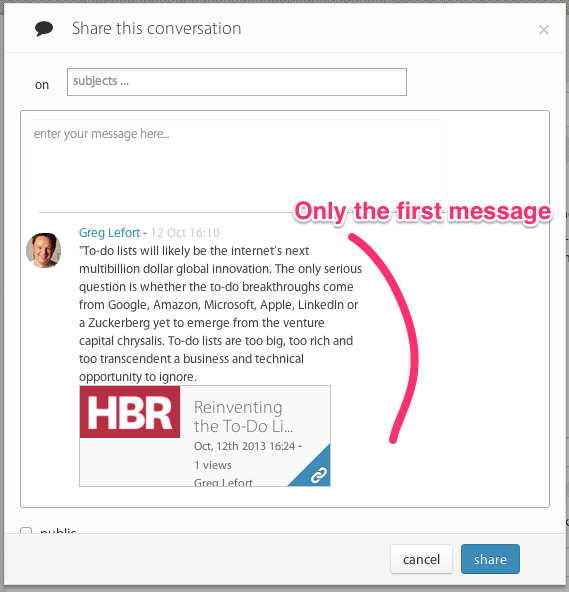 This will create a new conversation you can comment and that embeds the first message of a conversation. You can post it on any other subject(s) from any of the workspaces you are member of.